Transistor could have spelled the end of Supergiant Games. Their first game, Bastion, was a raging success, to date selling more than 3 million copies. The funds gave them the freedom to work on what they wanted and the time they needed to do it well. However, if Transistor wasn’t a success then they wouldn’t be able to work that way again. Bastion’s money was all used up. Thank goodness then that Transistor’s already sold 600,000 copies. 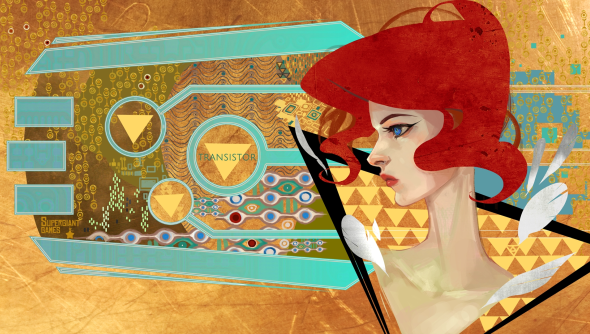 Since launching in May, Transistor’s sold 600,000 copies. That’s “even faster relative to Bastion during the first couple of months after its launch,” Supergiant’s Greg Kasavin wrote in a blog post. “Word-of-mouth is what kept Bastion going for way, way longer than we could have imagined, and it’s what’s kept Transistor going strong, too,” he continues. They’ve no reason to think Transistor won’t continue to sell like delicious strategy-infused, turn-based combat hot cakes. If you’re one of the 3 million people who bought Bastion and you’ve not yet picked up a copy of Transistor then head over to the Steam Store now and buy it. While I still prefer Bastion, Transistor is the better game. Both games have combat systems within which you can forge your own style – through both what weapons you arm yourself with and the upgrades you select for them. However, Transistor’s combat is turn-based which gives you the opportunity to engage with the combat mechanics in a way Bastion failed to do.